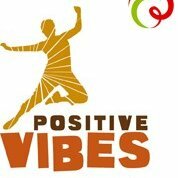 Positive Vibes is a Namibian registered trust that has been operating nationally since 2008 and in the South African region since 2012. The organisation currently employs 25 staff and has a functioning network of some 100 consultants operating at the community level or at the regional level. Positive Vibes has two offices in Namibia that serve the region. Positive Vibes’ main area of expertise is capacity development. Fifteen different participatory methods, aligned to the organisation’s Freireian philosophy, are used to build capacity in Community Based Organisations (CBOs), Non-Governmental Organisations (NGOs) and networks. From 2009 to present, some 70,000 people have been reached. Changing the system together is a learning project of engagement and innovation initiated in Uganda by Positive Vibes. The project picks learning experiences from -and further develop- current influencing strategies to advance the human rights of Lesbian Bisexual and Queer women (LBQ), and transgender people (both men and women) in the East African context. This project builds on the 2017 learning from Innovation (LFI) project. Through the learning from Innovation project Positive Vibes (and its partners) learned that the process of using evidence to prompt thinking and discussion, through shared sense making, is a powerful motivator and mobiliser. This will be through learning about strategies for disruption, influencing, change, and impact and how to do that in a hostile environment.